Find out how you can make your lifestyle green at the 2019 Earth Day Festival in Jackson, Tennessee! Adults and children can spend the day learning at environmental booths that will feature local businesses, recycled art & furniture, Discovery Park of America, TDEC TN Department of Energy, Master Gardeners, seedling giveaways, and more. There will also be plenty of fun and environmentally friendly activities for children including, solar balloons, kids jumping tents, and a family scavenger hunt. Live music will be played throughout the day at the amphitheater. 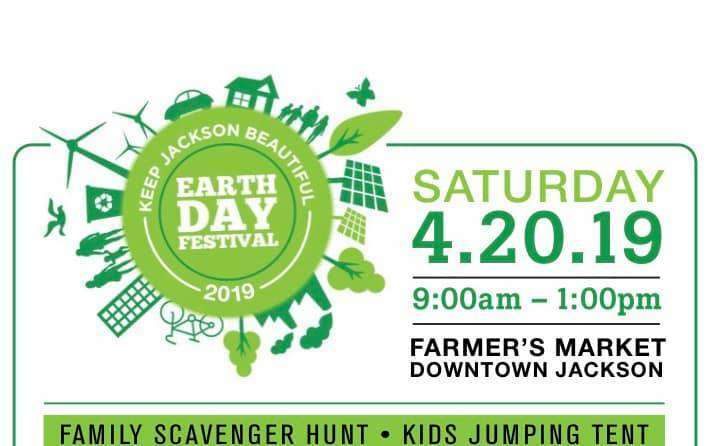 The 2019 Earth Day Festival in Jackson Tennessee will be held April 20, from 9 am to 1 pm. at the West Tennessee Farmers Market.